A few years ago, SSD laptops and computers could only be found in high-end stores. However, many renowned brands are currently using SSD to make budget and medium-end computers. With the SSD wave now in full force, SSD laptops are gathering quite a reputation in many learning institutions because of their speed of loading applications and software. But while the emergence of SSD computers has created a lot of options for those looking for economical computing solutions, it has presented a major challenge to buyers. With so many options available, choosing an SSD laptop that suits your needs can easily prove to be a confusing task. The good news is that you’re in the right place to unravel the mystery that is choosing the best SSD computing solution. To come up with this list, thorough research on the various SSD computing solutions available in today’s market was conducted and the dirt was sieved off, so as to leave you with the best of the best. Key areas of focus were reliability, computing speed and of course, value for money. But first, take look at some of the most frequently asked questions about SSD technology. A: An SSD, which stands for solid-state drive, is a storage device used in modern computers to store information on flash memory chips. Q: How is SSD any Different from Conventional HDDs? A: Quite different, as it turns out. SSDs are not actually hard drives as per se, because they don’t have any moving parts. A conventional HDD – short name for hard disk drive – is made up of a spinning metal plate with a magnetic coating and an actuator bearing a read/write head. An SSD contrastingly features various semiconductor memory chips neatly built into a disk drive with integrated circuits. Functionally, an SSD and HDDs are the same. But instead of a magnetic coating, data in an SSD is stored in a network of flash memory chips that retain data even in the absence of power. Q: Are the Flash Memory Chips Contained in SSDs the Same as USB Thumb Drives? A: No. The flash memory chips contained in an SSD are quite different from those used in USB thumb drives and are usually faster and more efficient. Thus, SSDs are often pricier than USB thumb drives. Q: SSD Vs. HDD – Which is Better? A: Compared to HHD, SDD is the better storage device. With SSDs, boot time and the time taken to load games and other applications are significantly reduced. Besides, SSDs don’t spin like classic hard drives. As such, they don’t generate a lot of heat when saving data, making them not only faster but also more durable and reliable. Additionally, SSDs are a lot lighter and smaller than their HDD counterparts. Machines running on this technology are thinner, lighter and faster, and that is the jackpot for any laptop aficionado. Q: How Much Does an SSD Laptop Cost? A: With SSD technology now more common than ever, the price of laptops with this type of storage has dropped significantly. However, they are still more expensive than HDD laptops. A budget SSD laptop currently costs around $400 to $850, while high-end pieces command a price of up to $2000. Q: Where Can I Buy Laptops with SSD Storage? A: Pretty much everywhere! Online shopping sites such as Amazon and Bestbuy have a plethora of SSD machines available. You also can check your local store if online shopping is not your cup of tea. The HP Pavilion 15 is a 7th-generation PC with an Intel Core i7 processor. It also sports memory of 8GB and an SSD of 512GB. With a display width of 15 inches and intel UHD 620 graphics, this high-end laptop is perfect for both online and offline gaming. It also works perfectly with heavyweight programs such as Adobe Photoshop. Other features of the HP 15 include a full sized keyboard and a touchpad that is accurate and highly responsive. The full HD display offers bright, high-resolution pictures, while the long life battery allows up to 7 hours of high-performance usage. Amazon has the HP 15 going for around $. This a good deal considering you are getting a machine with processing speeds of up to 3.5GHz, 4MB cache and a multi-format SD media card reader. For a $ off deal, make the HP 15 your second purchase in 3 months on Amazon. Be sure to use the new Discover it card, because, without it, you won't be eligible for this offer. If you are looking for absolute value for money, the ASUS VivoBook S is a great choice, and one of the best SSD laptops in its price range. It comes with a core i7 intel processor, 1TB HDD, 8GB RAM and 128 GB of SSD. The ASUS VivoBook S is the perfect combination of performance, power and style. It comes in a stylish gold colour that simply outclasses other laptops in its price range. It is also easy to carry around, courtesy of its slim 14.2” wide, 0.7 inches thin, 0.3-inch nanoEdge bezel with a screen-to-body ratio of 80%. The stylish design of this laptop is perfectly complemented by an ergonomic backlit keyboard with an aluminium cover and a fingerprint sensor. In terms of performance, the ASUS VivoBook is an absolute gaming beast. The display on this piece is fully HD, allowing you to play games such as Minecraft, the Sims A and World of Warcraft. It also boasts comprehensive connectivity, which includes USBs 2.0, 3.0, 3.1, HDMI and Dual band 802.11 ac Wifi. The asking price of this laptop in most stores is about $. But if you want to save a few bucks, you can get it for just $ on Amazon. The Microsoft Surface Book 2 is all about class and style. It is famous among artists who value futuristic laptop designs and on-screen drawing. In terms of performance, the Microsoft Surface Book 2 slightly lags behind the ASUS VivoBook S and HP 15. While the latter duo sports core i7 processors, the Surface Book 2 only comes with a core i5 Intel processor. However, it edges out the ASUS VivoBook S in terms of SSD memory, with 156 GB. For a laptop of its hefty price, the Microsoft Surface Book 2 has average computing power. However, if you prioritize incredible design over performance, this is unquestionably the laptop for you. It has a versatile design that allows it to double up as a laptop and a tablet. 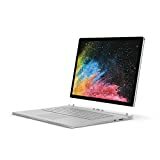 The SurfaceBook 2 is currently priced at $ on Best buy and $ on Amazon. But if you can ignore the five-dollar difference, we would advise that you opt for Best buy especially if you are a student. 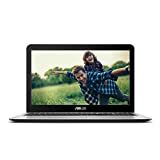 They have an ongoing Student Deals offer that runs until 7th July this year, which lets you save money on all laptops by either paying with coupons or simply taking advantage of their amazing student discount. If you are looking for both computing power and style, you can check out the five variants of the Surface Book 2. The Core i7 Surface Book 2 is particularly impressive, with up to 15 inches of display and the outstanding design that is typical of the Surface Book collection. However, it will set you back by about $. ASUS ZenBook is one of the best SSD gaming machines of its generation. It features all the ingredients of a great gaming machine, including NVIDIA FTX 1050Ti GPU, NanoEdge HD display and Thunderbolt ports. It also features an SSD memory of 512GB, 16 GB DDR4 RAM, and a Core i7 Intel processor. But computing power is not all there is to the ZenBook. It also has a sleek design that is typical of the ZenBook brand. The body is made of aluminium and features a passive cooling mechanism. The retail price of this piece is $ in most stores. For online shoppers, Amazon has got it going for $. The Apple brand has been the epitome of futuristic gadgets, and the Apple MacBook Pro 13 is no exception. It sports Intel Iris 650 graphics, intel core i5 processor, 256 GB SSD and 8 GB DDR3 RAM. Being an Apple product, you would expect the MacBook Pro to come in a sleek, futuristic design. It more than delivers in this regard with a stunning aluminium body and of course, the distinguished Apple logo on the back. The 13.3inch display of the MacBook features Retina technology, a touch bar and over five million pixels of resolution. 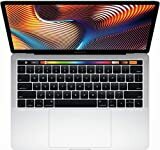 The MacBook Pro is currently going for $$ on Amazon. eBay, however, offers a better deal, with the same laptop priced at $$. The Aspire E 15 is more of a budget option, and arguably the best SSD laptop under $. It packs 8th-generation core i5-8250U processor with speeds of up to 3.4GHz and a 15.6” HD display. For optimal resolution, the display of this device is designed using the proprietary Acer Colour Blast technology. Other specs include; GeForce MX150 2GB Graphics, 256 GB SSD,8 GB RAM and a battery life of up to 15 hours. To get this laptop you will only have to pay $ at your local store or on Amazon. So if you are looking for a powerful machine that won’t break the bank, look no further than the Acer Aspire E15. Value for money doesn’t get any better! What if we told you that you can get a core i7-7500U, 256 GB SSD convertible laptop with the potential to hit processing speeds of 3.5GHz for less than $? That’s right, the Acer Aspire R 15 sports all the above specs, except that it comes with a processing speed of 2.7 GHz, which you can extend at will to 3.5GHz. This laptop also comes with 12 GB of RAM, 15.6 inches of full HD Multi-touch LED-backlit IPS display and a battery life of up to 8 hours. It’s currently priced at $ on Amazon, but if you purchase it on Bestbuy.com, you get $ off. 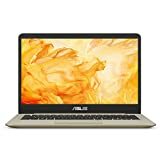 ASUS P-Series P2440UQ-XS71 is the third member of the ASUS brand in this list is more of a business laptop than a gaming machine. But that’s not to say that the P-series cannot support lightweight gaming. It has a 7th-generation Intel Core i7 7500U processor, 512 GB SSD, 14-inch Anti-glare Full HD Display, Nvidia GeForce 940MX 2GB Graphics, and a whooping 18 hours of battery life. With such an outstanding specs combo, you can rest assured that the P-series will get the job done, whether you’re working on a long project or blowing off some steam with lightweight games. To cap it all off, it has touchscreen capability, a fingerprint sensor and a price tag of only $ on Amazon. The ASUS F556UA-AB54-BL is a pretty simple machine, with a processing speed of 2.5GHz, 5.6 inches of Fully HD display, 8GB RAM and 256 GB SSD. One of the advantages of purchasing this laptop is that it allows you to double up the RAM to 16 GB, a feat that can significantly improve performance. Although it is a good machine, we think that it is a bit overpriced. Its $$ price tag is unjustified considering that some of its specs lag behind those of cheaper options like the Acer Aspire R 15 and Acer E 15. For instance, while the Aspire R 15sports a RAM of 12 GB, this laptop only has a RAM of 8 GB. Secondly, the 2.5GHz speed of the F556UA is below that of the Acer E 15, a 600 dollar laptop. 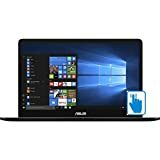 But if you are loyal to the ASUS brand and would like a machine that’s durable and reliable, then, by all means, give this laptop a shot. Last in on the list of best SSD laptops is a gaming beast – the Acer Predator Helios 300. This gaming powerhouse comes sports the 7th generation Intel Core i7 processor, 16 GB of RAM, 15.6 Inch Full HD Widescreen IPS Display, 256GB SSD, NVIDIA GeForce GTX 1060 6GB Graphics and a battery life of up to 7 hours. Amazon has priced it at $$, but it is worth every penny. Having looked at the 10 best SSD laptops in 2018, it’s time to find out the best of the best in various aspects. The Acer Aspire E 15 particularly stands out as a powerful, yet pocket-friendly option. In terms of futuristic design, the Microsoft Surface Book 2 is number one. If you prioritize computing power over classy design and value for money, then you should look no further than the ASUS Zenbook. It simply outclasses all the other options in this list in this regard, making it a top buy for any serious gamer. Next articleHow Laptop Works: Emphasizing Their Parts and Processes.